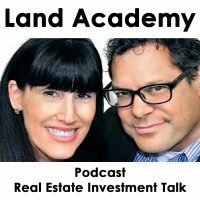 Truth about Land Flipping Time Commitment. How much time do you need? Jack Butala: Welcome to our show today. 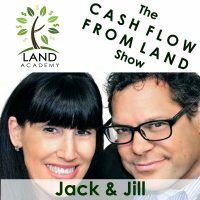 In this episode, Jill and I talk about the truth about your time commitment when flipping land. Jack Butala: How much time does it really take to get to do this and do it right? Before we get into it though, let’s take a question posted by one of our members on landacademy.com, the community there, it’s free! Jack Butala: Oil and gas leak? Jack Butala: Oh, lease! It was like a car that I have. Jack Butala: These people are so smart, our members. Jack Butala: My hat’s off to you David. By the way, I know which David this is. Jack Butala: What it’s worth and flip it real fast. So, what I would do is, if the economics work … This is going to sound silly and I’m going to get a bunch of emails. All this other stuff complicate your transactions. While I would not let it kill a deal, I think I would just zip it, I would just buy the thing, forget about the oil and gas deal, and just sell it like you’re selling everything else. Jill DeWit: But you disclose it? Jack Butala: Yeah, I mean I would put it in there. Jack Butala: I would say in the lease that there is an inactive lease, oil and gas lease until 2019, then I would say something snarky like, but you don’t care about that anyway because you’re going to put a cabin on it. Jill DeWit: It’s true. So, you want to hear my answer? Jack Butala: Yeah. You know what too, and all kidding aside, see if other people are drilling around there. If they are drilling around there, then you might have something. Jack Butala: If there’s not or a facility right next to it. Jill DeWit: … Mineral rights or anything. That’s not why. So but, yeah. Disclose it all, be upfront about it, obviously. I would even put it like … When you do your posting, your description, put it kind of towards the top. You don’t want to hide it down in there because you don’t someone to miss it and then be surprised later on by it. So just let them know and that’s it. Jack Butala: And again we differ. Jill DeWit: And we differ. Jack Butala: Put a picture of a massive oil rig as a lead photo, so that nobody wants this. Jill DeWit: Show an oil spill in the Gulf of Mexico, as your lead photo. Jack Butala: Maybe, how you’ve got to clean off the duck when there’s an oil spill. Jack Butala: Show a photo of a baby duck, who’s got one wing that can’t fly. Jack Butala: The truth is that Jill and I are involved as a partner in a deal right now, where there’s an active oil rig and we can’t … It’s complicating the transaction in my opinion. Jill DeWit: Okay, Rick, we have a blue shirt, drive-by guy. I wonder if we know this guy. I’m totally not kidding. Jill DeWit: This guy keeps circling us. There’s a guy … We’re getting it like, so we’re out here in the public, and I didn’t drop a pin where we are. I just put Los Angeles. So, for people just listening on our regular, on just the audio podcast, we’re out here live from the pier in South Bay, south of Los Angeles. And I didn’t drop a pin, but I did a Facebook live of it, just a little while ago. I’m questioning that we are getting a little bit of … I know we have people in the area so I feel like I just got a drive-by. It’s like somebody that came out to see us out here. You know, it’s just kind of funny. Jack Butala: Somebody. We had a Costco event recently. Jill DeWit: We did. It was so nice. Jill DeWit: It was good. Jack Butala: Somebody recognized us. Jill DeWit: Recognized us at Costco. Jack Butala: If you have a question or you want to be on the show, reach out to either one of us, on landacademy.com. Today’s topic: Is the truth about how much time it takes and the type of time commitment you have to make, if you want to get into this and potentially do it as career like we have. Jack Butala: Like it’s not just your hobby. Jack Butala: What do you think, Jill? I know you do take a lot of notes on this stuff before the show. Jack Butala: If I was good at winging it, the show would be a lot bigger than it is. Jill DeWit: Silly. All right. So, the truth about the time commitment. Number 1: Can … and I get this all the time, can I do this with a full-time job? And my answer is I don’t know. Why don’t you ask the other 200 people in our group that have full-time jobs. Jack Butala: Wow. How’s that for satire. Jack Butala: New York is rubbing off on you. Jack Butala: I don’t think I’ve ever heard you be … usually it’s my job. Jill DeWit: Sorry, I didn’t mean to be like that. But no, it’s true. Heck, I did it. You did it. We both did this with full-time jobs, and that’s why we tell everybody to don’t quit your day job. You know, you want to do this until it’s painful and it hurts because you’re losing money going to your day job. So, keep that day job to the very, very, very, bitter end. You know, when you have a lot of money, and this is a well-oiled machine and you can make some different decisions. Jack Butala: I mean, you need to over-wait that. Jack Butala: We’ve got a couple of cases in our group, in the very, very recent past, where they got laid-off. Jill DeWit: Exactly. They’re not sweating it. Not at all. So yeah. Jack Butala: In fact, one of them was a person who asked that question. Jill DeWit: That’s true. I don’t know who you’re talking about. All right so yeah, you can do this with a full-time job. Yeah, do you have to plan your time? Sure, and can we help with that? Yeah. So there’s two things about that. You have to budget your time, and be committed, obviously, and you’ve got to be really efficient. And those are things that, not only are we pros at, thanks to Jack really, but really inefficient and get this into a machine, but we are working on ways to help you with that as well. Jack Butala: And have the right tools. If you are going to do this with a full-time job, you need somebody to answer the phone. Jack Butala: A lot of our members use PATLive, which we have no affiliation with. But I think two days ago we talked about … two shows we talked about Jill Live. Jill DeWit: It’s coming. Jill Live is coming. Jack Butala: We’re creating a Jill Live. Jack Butala: So you don’t have to answer your phone. Her people will. Jill DeWit: My people will, yup. So, where can I help? And then, I was going to say too, even on a Sunday schedule, I did a blog, which turned into a long news letter series that I did. 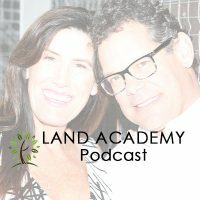 So, go check it out on Land Academy on our blogs, which I really spelled out … because it was based on a show that we did about how to go and get your first deal, bought, and sold in 45 days. And the whole point was, only doing it on a couple of hours on a Sunday. I really dissected, if you spend a few hours on this Sunday doing nothing but picking a County. Great, great. Close the book, close the computer. Don’t come back to it until the next week. Okay now, next Sunday. Now, let’s get our offers together, and isolate who we are going to send it to. And then the next week, the mailers go out. So, as you can see, it’s really methodical. I want to bring that up because the show is about how much time is needed, and you could scale it up, scale it down, and go at whatever pace you want to go at. You might want to do a property a week. You might want to do a property a month. We have people doing a property a day. You know, that’s buying and selling. Jack Butala: [crosstalk 00:09:52] Properties today, full-time, yeah. Jill DeWit: It’s up to you. Jack Butala: The time commitment scenario is this. Here’s the truth of it all. If I were you and I was starting out, or even if I had a little bit experience but I was still involved in real estate, or with a full-time job, I would take four or five hours on Sunday, or in the morning before your family gets up, or whatever, and really, really, really learn and put a great plan together. Don’t start doing before you think. Jack Butala: I’m just about done with what is called a 45-day calendar, based on Jill’s scenario, because people are asking me for it. So, if you start on day one, it’s the stuff that you should be doing each day, and set some daily goals and weekly goals for yourself, however you guys set the time, so that you can get that first deal done. Because once you get that first deal done, you’re going to learn a ton. There’s all kinds of little innuendos that happen. Jack Butala: There is no way we can cover it all, plus a lot of these skills are different. And then, keep moving forward. Jack Butala: Here’s the answer. It takes four hours a week, and you can close a deal in 45 days. Jack Butala: If you’re full-time or, let’s say, you’re like a real estate agent where you’re full commission so no one’s really managing your time, you could do it in, I don’t know, 20 days? Jack Butala: Start to finish in 20 days. Jack Butala: It’s cash-in, cash-out. Jill DeWit: … Research, mailers out, purchase it. Record it. Sell it. Jack Butala: And get the money. Jill DeWit: A whole … and get the money in your bank, the whole thing. Jill DeWit: It’s very realistic. Jack Butala: Money out? No, it’s the very very beginning until you’ve sold the property. Jack Butala: Very beginning of the research stage until you have the cash in the hand. Jack Butala: They price it right. Jill DeWit: They price it right. Jack Butala: That’s the key. Jill DeWit: They don’t even get a chance to post it all over the place for sale, they’re like, “Oh my gosh, it already sold! What do I do? I don’t know how to collect the money.” Gee, and it’s been just … it might have been 10 days. It’s hilarious. Jack Butala: 10 days is a stretch. Jill DeWit: Well, somebody, some people, but if you get it, if you do what we say, just a side note, and I’ve already got a signed thing, I haven’t even recorded it yet, so I know it’s mine, I own it. I’m already posting it for sale. I could sell it that fast. Jack Butala: Yes, but if you’re brand new, you really need probably a good week to research, a good seven straight days. Jill DeWit: Yeah, if you want to do it right. Jack Butala: I mean, the Cash Flow from Land Program is 10 hours of video, so you need at least that for research in the beginning. Jill DeWit: That’s true. Exactly. I’m just talking about the buying and the selling part. Thank you. Not the before and the after. Jack Butala: Just got to be organized, like everything. Make a commitment, that’s the key. Jack Butala: You have to make a mental commitment that you are going to buy and sell a piece of property, and that it’s important. Jill DeWit: You know, one of the things that I see when I do … a lot of the consulting call I get are sales or people stuck, and you’ve got to set yourself really tangible, not crazy, please, goals, and be kind on yourself. Give yourself a cushion, so you do follow through and hold yourself accountable, by the way. The other thing is, figure out what motivates you. Jack Butala: What motivates you? Jill DeWit: Maybe your wife, you want your wife to be retired. You want your kids college fund paid for. You know, set those financial goals, and whatever that is to make sure you can take care of it and that’s a good thing. What motivates me? Jill DeWit: For me now? Jack Butala: Yeah, like what motivates you to even do this silly show we do? Jill DeWit: … So off my own path right now, and what you got going on is like over here, and I’m so happy and excited about it. Thank you for asking me, Jack, and I’m going to ask you in a second. So, what really motivates me right now is how many people I can touch and I can help. And it doesn’t matter even if it’s property related. I mean, I help … I met people in New York last week, and I was giving them ideas about their business that they hadn’t thought about, that had nothing to do with my business. But I’m like, “Why don’t you look at doing this with your thing?” And they’re like “Oh my God, thank you.” I like helping people. That is what motivates me. What about you? Jack Butala: I have an almost borderline unhealthy quest for efficiency. Jack Butala: We’re working on a product right now. It’s a website where you put in an address, like a mailing address or you put in a State, County, APN, and it immediately go into Google Earth, takes you to the property. It outlines whether it’s rural, or urban, or whatever. And then, and we’re going to release that soon, very soon. Jack Butala: … And then, it takes you to our mailing portal where you quickly design a mailer, or a postcard if you want. I don’t advocate it, but we do have postcard functionality, and send out offers to everybody. Or maybe you have a house for sale, you’re a real estate agent, and you have a house listed, and that’s the center and you want to send out a notice to everybody in the area that you just got the listing and it’s fantastic. Jill DeWit: Right. That’s awesome. Jack Butala: So, for whatever reason that you would want to send mail to somebody and that property is at the center of it, this will allow you to do it. A five-year-old could do it, it’s that. Literally, in less than 30 seconds, you can have the whole thing done and it’s over. That’s what motivates me. It’s creating efficiencies like that that … You know why? Because I never had those. When I started in the ’90s, it was a mess. Jill DeWit: Exactly, exactly. I believe it. I was faxing. You were faxing, man. It’s hilarious. So I know, I still say it, I know, it’s now about once a week, it’s not quite daily, but it’s about once a week. Gosh man, I wish we had a us when we were starting. That’s okay. We’re here to help you. We can save you. Nobody could save us. Jack Butala: The other thing that motivates me is subdividing property. Jack Butala: I love doing that. Jill DeWit: Making, because you’re making land. Jack Butala: Yeah, I love to take a big huge piece of property, subdivide it out, make a bunch of little pieces of property, and sell them so cheap that whoever buys them is going to make more money than me. Jack Butala: Because we just did everything right. Jack Butala: So yeah, that’s a hobby. Jack Butala: We won’t take too much time. Jill DeWit: That was a good sharing about what motivates you and, I think, that’s really true about … You are an efficiency nut, if you will. Jack Butala: I think a lot of women complain about that. Jill DeWit: Yeah, yeah. There’s times when we don’t want you to be very efficient. Jack Butala: I know, and I get that. Jill DeWit: Well, I’m done. Jack Butala: I get that, you know? Jill DeWit: So, hopefully, there’s no children. Jack Butala: I take it to a point where’s it’s just not healthy. I was talking to some guy on Facebook yesterday, you know, with bigger pockets. Jack Butala: He’s brand new and he’s an engineer. He’s a software engineer so he’s got that disease, that efficiency man disease, that I have. Jack Butala: And he wants everything to line up perfectly, and I’m like, “Man you’ve got to leave some variables”. There’s always variables and stuff. Jack Butala: So I get it.